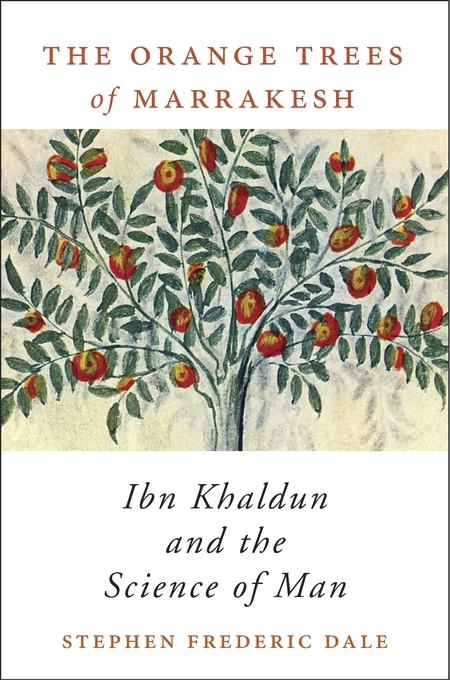 In his masterwork Muqaddimah, the Arab Muslim Ibn Khaldun (1332–1406), a Tunisian descendant of Andalusian scholars and officials in Seville, developed a method of evaluating historical evidence that allowed him to identify the underlying causes of events. His methodology was derived from Aristotelian notions of nature and causation, and he applied it to create a dialectical model that explained the cyclical rise and fall of North African dynasties. The Muqaddimah represents the world’s first example of structural history and historical sociology. Four centuries before the European Enlightenment, this work anticipated modern historiography and social science. 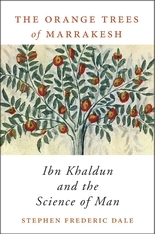 In Stephen F. Dale’s The Orange Trees of Marrakesh, Ibn Khaldun emerges as a cultured urban intellectual and professional religious judge who demanded his fellow Muslim historians abandon their worthless tradition of narrative historiography and instead base their works on a philosophically informed understanding of social organizations. His strikingly modern approach to historical research established him as the premodern world’s preeminent historical scholar. It also demonstrated his membership in an intellectual lineage that begins with Plato, Aristotle, and Galen; continues with the Greco-Muslim philosophers al-Farabi, Avicenna, and Averroes; and is renewed with Montesquieu, Hume, Adam Smith, and Durkheim.